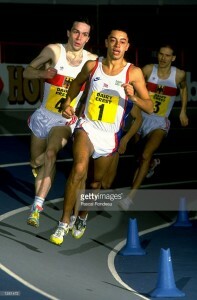 A brilliant Wirral runner of the 1980’s, Ikem Billy was third in the 800m at the IAAF World indoor games in 1985 in a time of 1.48.28, and he was also first in the 1983 European athletics junior championships in a time of 1.47.15. However he was unfortunately not selected to run in the 1984 Olympics. What follows is an interview of how he got started and what his career in athletics was like. When and how did you get started in athletics? I won my first race at St Anselms as a 7 year old. I think my most important achievement at a young age was running for England at the age of 13. However I also enjoyed playing all sports including rugby, tennis, squash and I also loved watching football. When I first started running my school coached me and after I joined Wirral Ac my coach was Dave Jeffs. I started training in an organised way when I joined Dave’s squad. However when I was 15/ 16 years old I lost interest in running and only ran because I could. I had no targets for running in the future at all at that age. The people who most inspired me as a young athlete were Micky Morton, Dave Lewis and Pete Elliott. Did you have any significant ups and downs in your career as an athlete? I had major injury 1986 which cost me my best 3 years of the sport. Did you go to University, if so where did you go and how did you balance the requirements of your course training, social life and family life. How did your training develop during this period? I specifically chose to study at Loughborough, after racing there in the previous summer. Loughborough allows you to study and train; it’s designed for all sports people who want to get serious about their sport. My Social life at university came second and my training was always successful there as I’d learnt so much more from other elite athletes also at the university and about how to how to look after myself. How much gym based work did you do and when did you start? I didn’t do any gym work or weights until I got to Loughborough. So I started at 20, at first I didn’t realise the benefits, but the longer and harder I trained the more the benefits became apparent. Loughborough is famous for its 3 hour ply metrics gym sessions once a week. Did you change your coach at any time, if so why and how was it planned and was any research done to find the best person for you? Yes I changed my coach twice, the first time I switched from Dave Jeffs to Gordon Surtees, this was arranged by UK athletics and Dave Jeffs. Gordon did an excellent job but anyone could have coached me at the time. The second switch was when I left Gordon to be coached by Roy Heeney. That was my personal choice as I felt that he knew me both as a person and athlete very well. Do you think talent or purposeful hard work leads to success? Gordon always said “Class” is permanent, form is temporary, but even with talent you can’t get anywhere without hard work, it just makes it that bit easier if you have the talent. What do you regard as your most significant achievement in athletics? 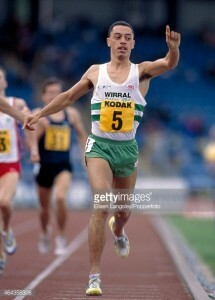 When I was 20 years old and ran 1.44 in the 800m on a few occasions and found it easy at the time. Monday would be 3.5miles fast, Tuesday would normally be a fast speed session of 4 x200m at 22.5 seconds pace. Were you ever overlooked for a selection when you thought you deserved it and how did you react to this? I was overlooked a few times, most significantly for the 800m in the 1984 Olympics. I just tried my best to get on with it and after a while I came back and beat Ovett and running sub 1.45 on three more occasions. What was it like dealing with event promoters and advertisers? Andy Norman was my agent and sorted out all of my races for me. Despite him being dodgy as sin, he was always fair and if you ran well he looked after you. What are you doing now and what skills did your time in athletics give you for your future? I work in sales now and always have done. I requires me to use very similar skills to those I used as an athlete which is why I enjoy it.